Truthspoon: Illuminati Satanists unleash Paris False Flag. Illuminati Satanists unleash Paris False Flag. Friday the 13th Part zzzzzz. 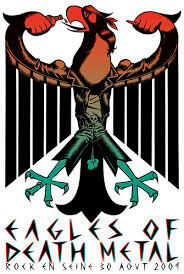 Death Eagles of the Illuminati. It can have escaped no-one's attention that Paris has recently been under siege. A night of terror, a Friday the 13th carnival of music, death and mayhem. I first became aware of something odd when coming home from work in Casablanca and immediately seeing the sky above Boulevard Moulay Yousef towards the sea, was red, really red. The light filling the sky and refracting from the damp sea air was coming from the red light of what appeared to be up to ten aircraft. Whether they were military jets or police copters I cannot be entirely sure. There was something apocalyptic about that night, and by coincidence, Moroccans were also celebrating 100 years of Wydad football club and fireworks and flares were being fired into the air and waved about. So there was strange bangs and sudden flashes of light, combined with the strange red luminescence in the sky and the unidentified aircraft which could well have been a fleet of UFO's. Though they probably weren't. Looking up at the red sky and the lingering unidentified aircraft which appeared to be hovering over the sea and keeping their eye on Casablanca I had a sudden fear and presentiment, of something bad happening or about to happen, and I made a mental reflex against fear, an act of will by which I refused to be scared and anything weird which was going on better shape itself up. With that thought the aircraft suddenly moved off, down the coast and as they left the red fire in the sky dissipated and the normal and non apocalyptic-looking blackness returned to the night sky. In retrospect I wonder if the Moroccan air-force had been scrambled in light of events in France and were monitoring the situation at home. One can only guess. Upon returning home, logging on to the David Icke forum I discovered that things are not all well in Paris. 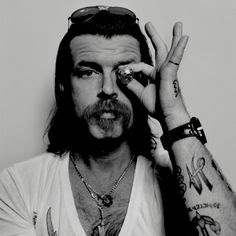 After some investigation and the news that the Bataclan theatre in Paris had been the principal target and had suffered the most casualties, and that a band called Eagles of Death metal were playing there I immediately noticed the word 'Death' in there. 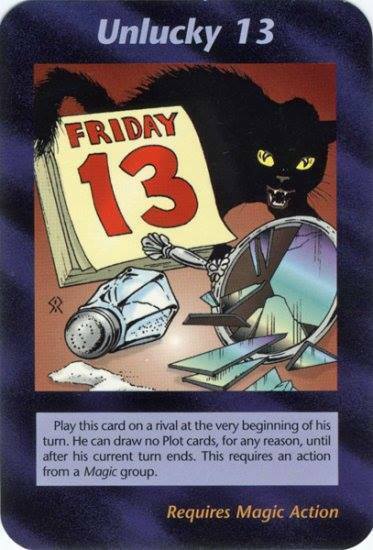 I also noticed it was Friday the 13th, a day known ill-fortune and the sense of something evil. I also observed the Death theme recurring in the restaurant which was attacked down Rue du Charonne. Charon is the name of the ferryman of the dead in Greek mythology who traverses the river Styx to deliver souls to Hades. Charon is also of course the name of the planet Pluto's tiny moon. Pluto is otherwise known as Hades and is the God of the underworld. And such is the direct connection between Charon and the God of the underworld. Nearby to both locations is the Pere Lachaise cemetery, the world famous resting place graveyard of such luminaries as Oscar Wilde and Jim Morrison. So the whole area seems to bathe in a certain other-wordly spooky quality. I have visited this area many times and the Paris guide books which I read while investigating the area dwelt on the slightly macabre associations of death which the area is known for, and of course this only fascinated me more. It seems however that guide book tales and myths became reality on that night. When what I believe a mass Satanic ritual sacrifice took place under the cover of Islamic terrorism. Rockn'roll Death-Star! Jesse 'The Devil' Hughes. Being devilish, doing 666 hands and the 'One Eyed Willy' move. I theorised that if this band wrote such songs then perhaps they themselves were occultists, Satanists and members of the OTO. Not an unreasonable assumption really. I wondered if such a band on stage, openly worshiping Satan, might in some occult way, be inviting the forces of evil to manifest. I mean, that is what a Satanist is supposed to do? Summon demons and try to please Satan? Satan isn't a good fun guy who just wants to chill and have a good time, though I think some dabblers in Satanism are told this. Of course Satan is literally evil. Loves death, killing, human sacrifice, pain, torture and punishment. This is what hell is, a place of eternal punishment, but it isn't God doing the punishing, it's Satan and the dark 4d hierarchy. So I wondered if somehow, this Satanic baggage which attended the band, could it not be that it was somehow activated on Friday the 13th, in a culmination of symbolic evil and the conscious attention of the public at the venue who had essential become a part of this Satanic paradigm? I wondered if they had played Kiss the Devil or not. Obviously if they had performed the song and the crowd all sang along dedicating themselves to Satan, then one might wonder what might be the result of such a mass public ritual invocation. And of course, as one of my Moroccan students responded when I discussed my theories "Ask for Satan and you get Satan" And they DID get Satan. They got Friday the 13th Satanic human sacrifice. This idea of mine was hugely strengthened when my friend Futureshock posted on my forum that the Satanic killers (falsely called Islamic terrorists) had struck exactly during the song Kiss the Devil. Could the Satanic perpetration and occult significance of this all be any clearer? This is how the real world works. A million crimes carried out by Illuminati Satanists while media and politicians rush to cover up for them and hurriedly blame who they are told to blame, by the very Illuminati who carried out the killings. Why is the whole world so complicit in covering up the crimes of the Illuminati? Why does the world fall over itself finding a way to blame Muslims? They are lying and cheating their way into World War 3 and now see France attacking Syria, and this will likely lead to an eventual confrontation with Russia, who are also playing their part in igniting World War 3 and yet more Satanic Illuminati sacrifice of millions of people. Is this not just a further instance of the Illuminati's continued instigation of worldwide terrorism but this time using occult rock bands and literal black magic-mojo, to unleash the event with the appropriate amount of Satanic dedication. A cultural ritual time bomb, set to detonate at Friday the 13th at 21:40, at the very moment the whole audience is literally giving their will. love and attention to Satan. Another Illuminati False Flag attack, all carried out within the context of Satanic ritual. 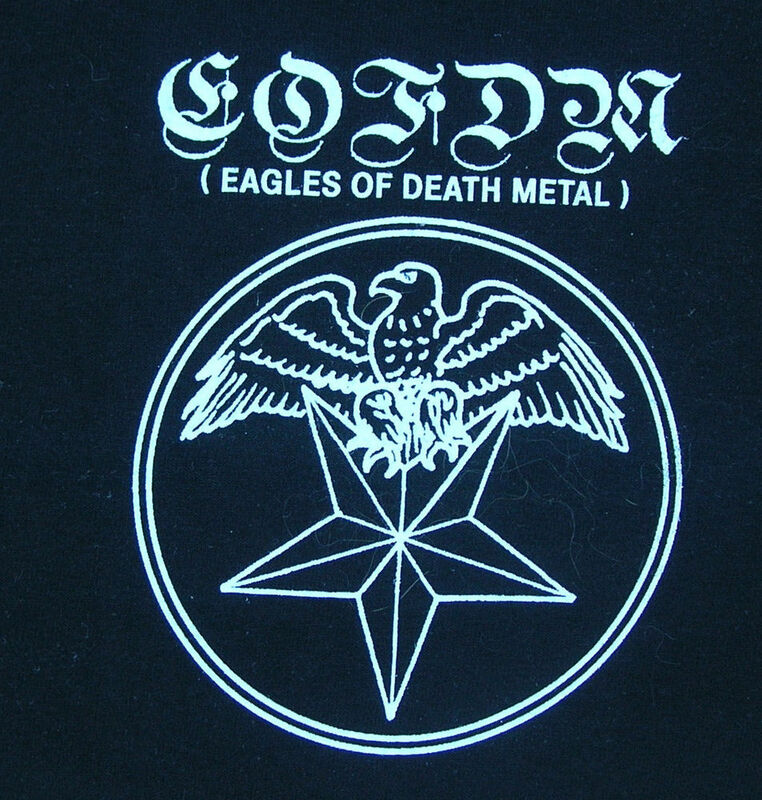 Band logo for the Eagles of Death Metal. The Eagle is the symbol of the Edomite Illuminati. 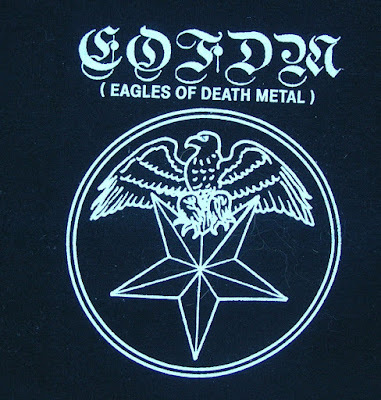 Additionally, there appears to be a symbolic connection between the band name Eagles of Death Metal, and the Eagle of the Edomites. 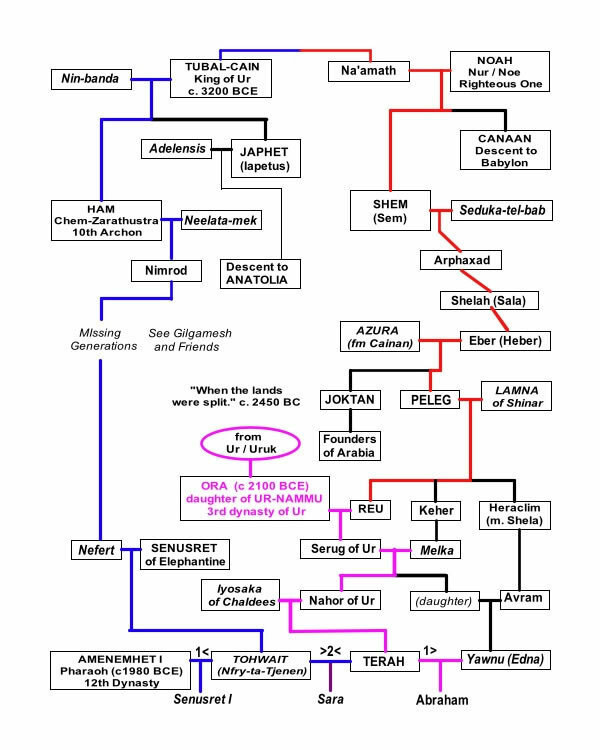 The Edomites were/are a Canaanite people based to the South East of Israel and they were historically the mortal enemies of the People of Israel. The Edomites, also known as the Idumeans, were historically considered to be the descendants of Esau the brother of Jacob who was the father of the twelves tribes of Israel. Esau was the one who disdained his birthright as the inheritor of God's blessing, and went on to marry a Canaanite woman, and swore vengence on the line of Jacob. Edomite Limestone Eagle found at Petra Jordan. 1st century AD. 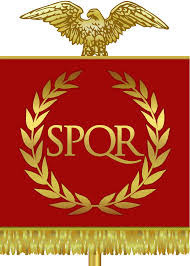 Many sources, and especially the Jews during the time of the Roman occupation, considered the Romans to be the descendents of the Edomites, and the Roman Eagle evokes the Edomite origins of the Roman people. 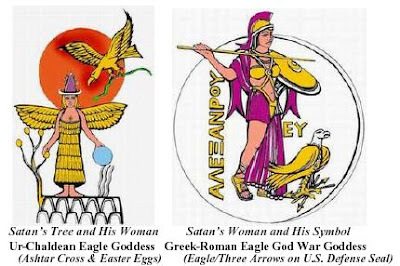 So whenever we see an Eagle we should be alerted to the presence of the Edomites. 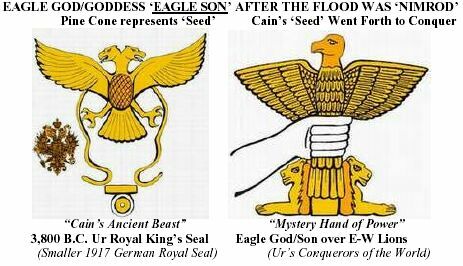 The Eagle became the symbol of the Edomites due to references in the Bible referring to Edomites high places of sacrifice such as the one in Petra in modern day Jordan. 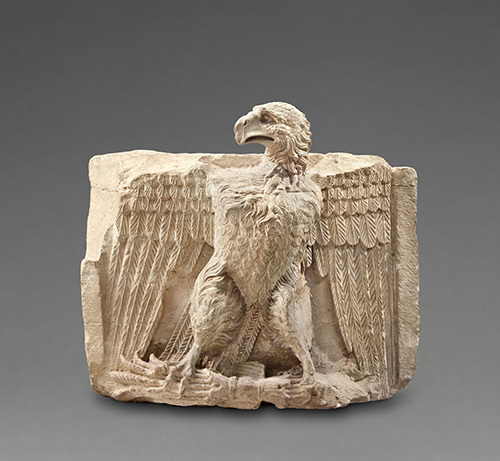 The Freemasonic Eagle of Lagash. 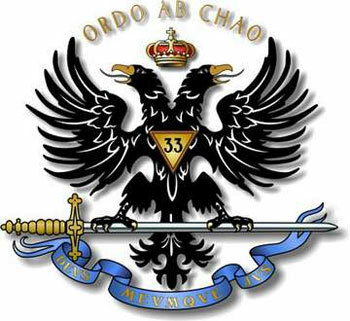 DEUS MEUMQUE JUS The literal meaning is God and My Right, the moto of Scottish rite Freemasonry. German branch of the Edomites......The Nazi Edomite Illuminati, this is the real reason for the Nazi persecution of the Jews. Hitler was incidental, he was merely a frontman for the Edomite Illuminati and their endless war against the bloodline of Israel. The Edomite Eagle goes to Paris. Superfically the attacks in Paris appear to benefit Israel in that there is now a worldwide coalition driving to stage a Nato invasion of Syria, which prior to the turmoil of civil war, was the major power in the area with a large military and the ability to threaten Israel. However the longer term goal of the Illuminati's agenda will I believe lead to the destruction of Israel as a culmination of the Edomite Illuminati's secret agenda. It is likely that Illuminati agent Henry Kissinger is privy to this secret agenda for he apparently revealed in what I suspect was an off the record comment to New York Post columnist Cindy Adams when he told her that in 10 years 'Israel will no longer exist'. The Edomites have secretly controlled world Jewry for over two thousands years, from the time of the Pharisees and the Herodian dynasty to the Talmud and Rabbinical Judaism. It is the most ancient conspiracy in the history of the world and such is its subtlety and complexity that virtually no-one in the world and certainly very few Jews, suspect that their culture has become a host for an ancient Satanic parasite which secretly practises its Canaanite religion and its rites of human sacrifice, while hiding itself behind Zionism and Judaism. The ultimate expression of the Edomite religion is in Freemasonry, and of course one of the great Masonic heroes is a man of the seedline of Cain: Tubal Cain. And this is also the secret password of the Master Mason. The Holy Roman Empire. The Edomite control of Europe. Nothing has changed. 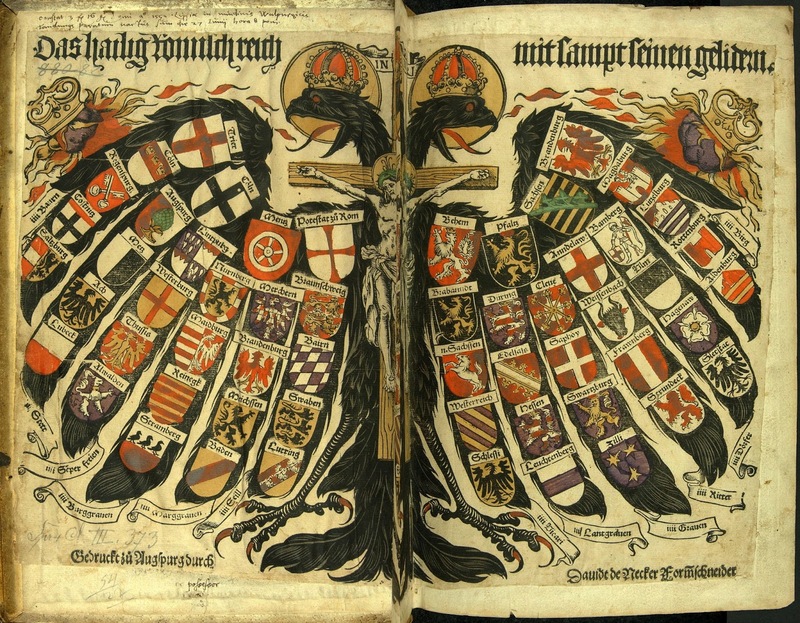 In addition to hiding within the Jewish world, controlling Freemasonry, they also control the Roman catholic church. Therefore they are represented in every single faction which is apparently fighting for control, when in reality, they are all one and the same. They control the world and they have always controlled the world. The Illuminati are the bloodline of Cain. The seed of Satan. Watch Jesse 'The Devil' Hughes crack up with Satanic laughter 15 seconds in. All eight of the attackers in the co-ordinated, deadly assaults in Paris wore identical explosives vests with the explosive TATP, which has been called the "mother of Satan" because of its volatility, Paris prosecutor Francois Molins says. The US government's National Counterterrorism Center lists TATP as a common explosive and describes it as "relatively easy to synthesise". Experts have said that tracing the materials used to make the explosive can be difficult because they are so readily available in stores. The counterterrorism centre's website describes the explosive as a mixture of "hydrogen peroxide and acetone with the addition of an acid, such as sulfuric, nitric, or hydrochloric acid". It says TATP "can be very unstable and sensitive to heat, shock, and friction". All seven of the Paris attackers died in suicide bombings. Three suicide bombs targeted spots around the Stade de France stadium, where French President Francois Hollande was watching a France-Germany soccer match. Another attacker detonated a suicide bomb on Boulevard Voltaire, near the Bataclan music hall where dozens of people were killed by gunmen, the prosecutor's office said. And as police closed in on the music hall, two attackers detonated explosive belts, killing themselves, according to Paris police chief Michel Cadot. The last was shot by police but his explosve vest detonated. The Hebrew word translated as leader of a clan is aluf, used solely to describe the Dukes of Edom and Moab, in the first five books of Moses. However beginning in the books of the later prophets the word is used to describe Judean generals, for example, in the prophecies of Zachariah twice (9:7, 12:5–6) it had evolved to describe Jewish captains, the word also is used multiple times as a general term for teacher or guide for example in Psalm 55:13. Today it is used for a description of high rank in the Israeli Defence Force, and as a surname.